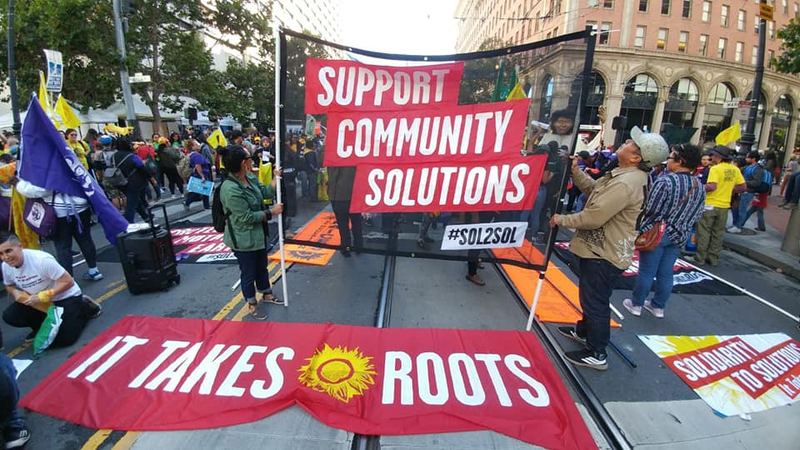 It Takes Roots member organizations and international allies descended on Ohlone Territories, San Francisco, for 6 days, 30,000+ strong, to join forces and build solidarity. 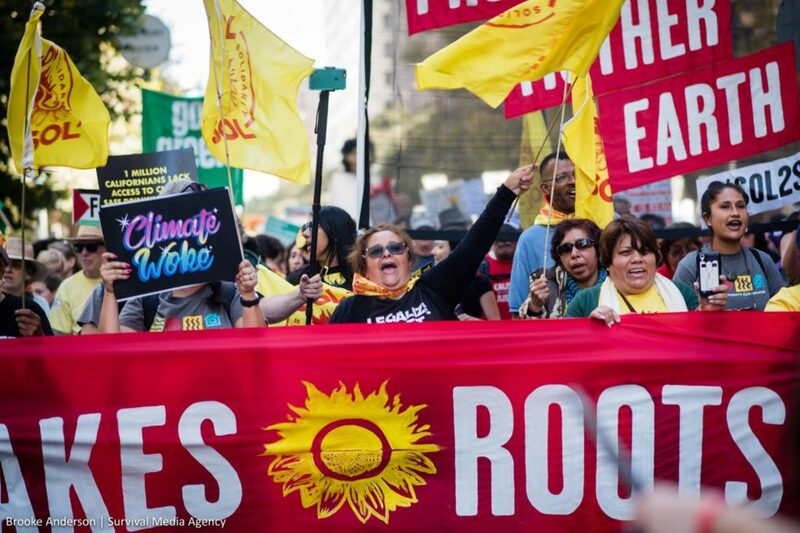 ITR is a cross-sector, multi-movement alliance of alliances: Climate Justice Alliance, Indigenous Environmental Network, Right to the City, and Grassroots Global Justice. 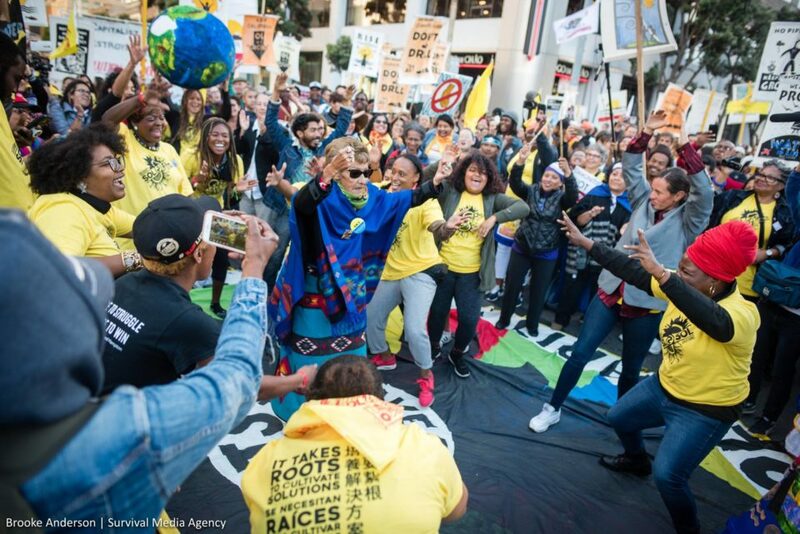 The alliance came together to offer real solutions to the climate crisis—grounded in real life experiences of frontline communities—to counter Governor Jerry Brown’s capitalist, market-based solutions at the Global Climate Action Summit in San Francisco, September 2018. 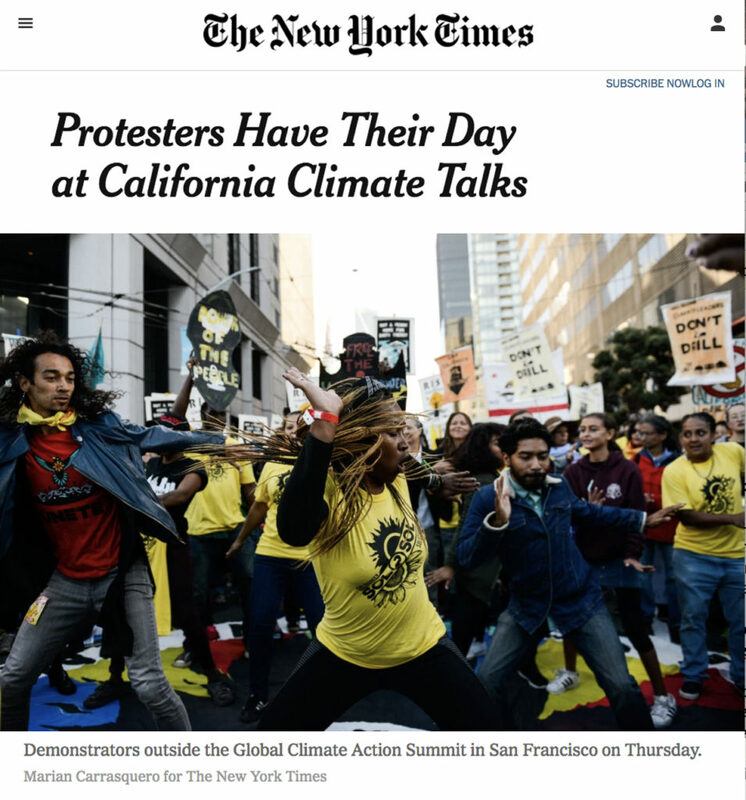 These 6 days of marches, events, panels, direct actions, and creative demonstrations exposed the false solutions that investors are masking as “REAL Solutions”. 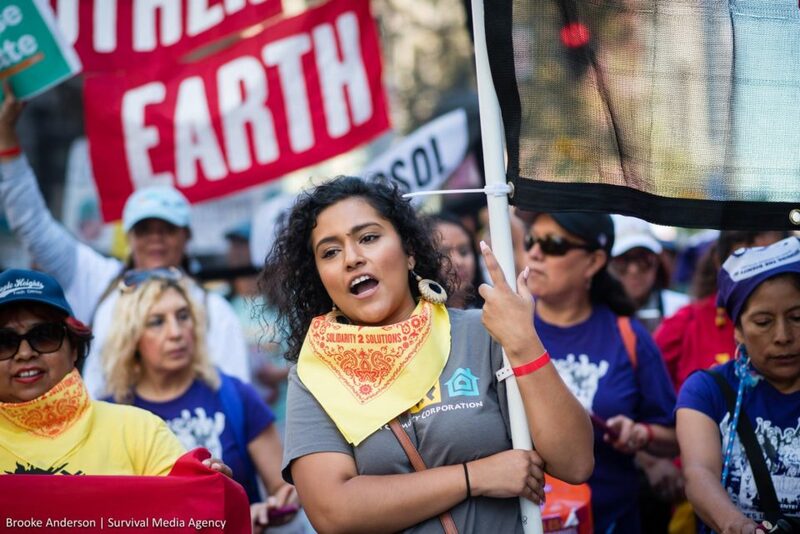 This week of Solidarity to Solutions, #Sol2Sol, was packed with popular education and declarations of solidarity amongst our communities, and resistance to climate capitalists. Visit ittakesroots.org for more information about the mobilization! 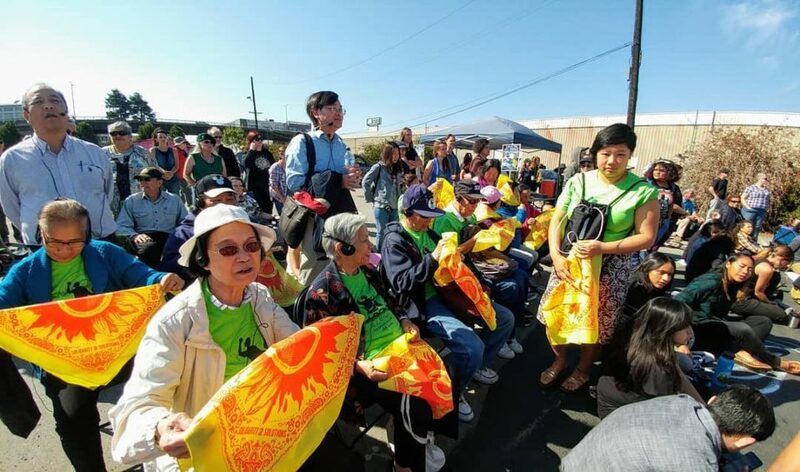 As resource members of the Grassroots Global Justice network, Design Action Collective, Center for Story-based Strategy and The Ruckus Society collaborated to create powerful images, messaging, action art, and strategy. This year Design Action set an intention to deepen our relationship to the alliance and participate in a more meaningful way, by getting involved early on in the planning stages of this mobilization. 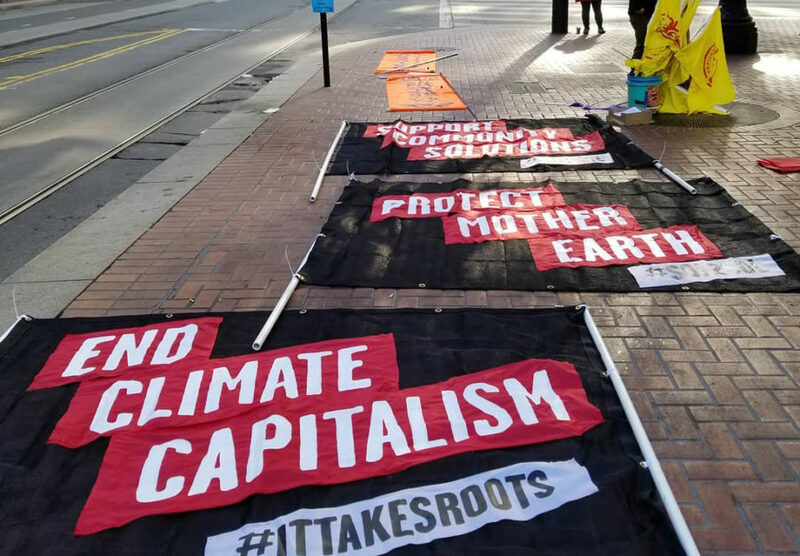 First, CSS prepared It Takes Roots members to harness the narrative as a unified voice from impacted communities around the Americas, and develop key messages to bring to Governor Brown’s “climate capitalism trade show”. 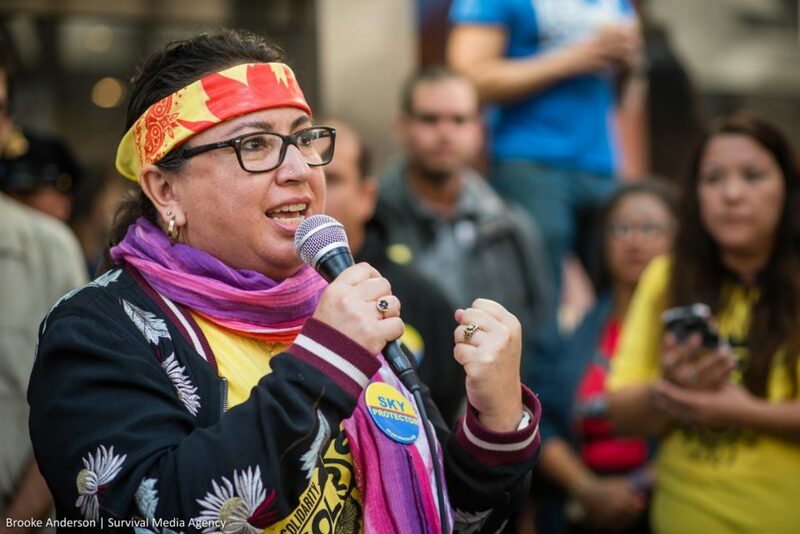 Center for Story-based Strategy (CSS) is a national movement-building organization dedicated to harnessing the power of narrative for social change that offers training and strategic support to social justice organizations and alliances to change the story on the issues that matter most. From there, Design Action developed the visual branding and action art. With such a rich multiplicity of voices and messages coming together for the summit, it was Design Action’s challenge to create visuals that would bring them all together under a united visual language. 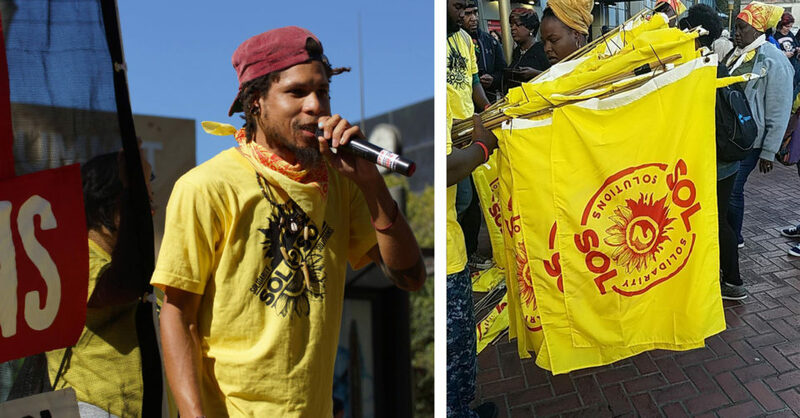 The final rendition of the half sun, half sunflower on 2 distinct sides was a visual take on the name “SOL 2 SOL” and representative of the values Solutions to Solidarity. The sun (sol) is the source of all energy on planet earth, representing the sky, life, influence, courage, and solutions. 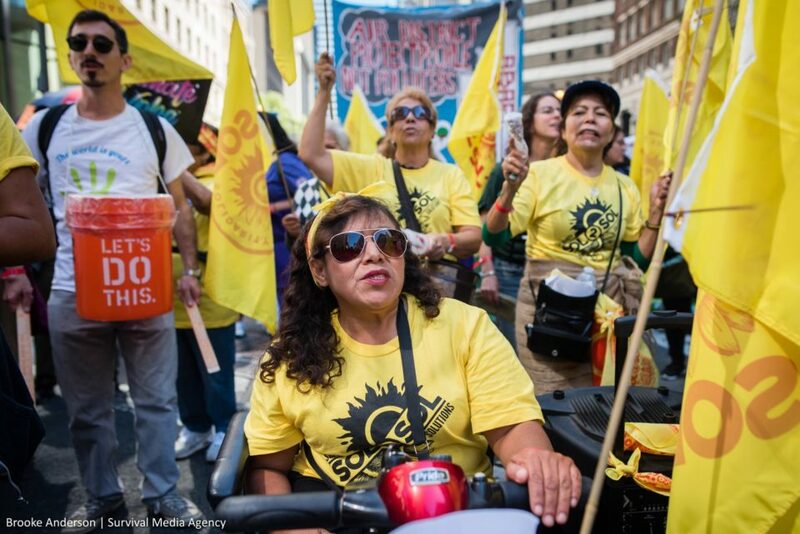 The sunflower (sol) has long been a symbol representing the grassroots environmental justice movement due to its connotations to the earth, longevity, beauty, nourishment, bioremediation, and solidarity. The dynamic diagonal split down the middle amplifies the essence of movement, action, and resilience and the surge of power when these forces are combined. These two halves do not stand in contrast or opposition to each other, but rather represent a coalescence in reflection of each other’s beauty and strength. The organic edges and hand drawn quality of the illustrations represent nature and the people power required to create true climate solutions from frontline communities. This logo and visual identity of the red/yellow/orange color palette and diagonal lines with bars of text was used to create banners, flags, tshirts, posters, fliers, buttons, bandanas, social media graphics, postcards, and even a giant mural. Shout out to the community vendors we worked with: oakbrandusa, Broken Seal Buttons, and Community Printers! 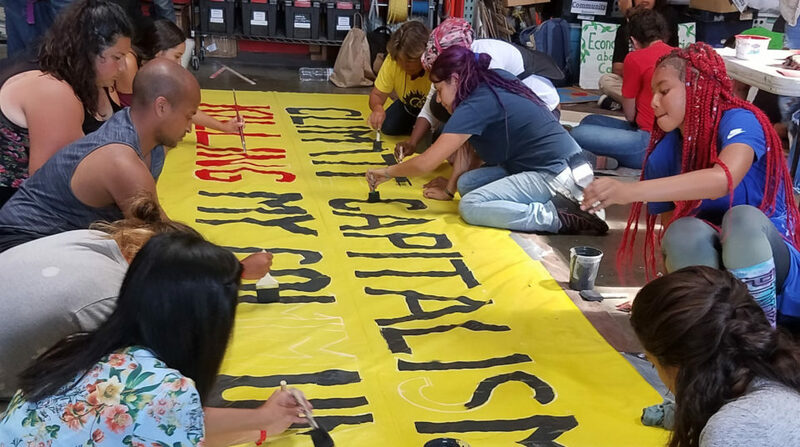 IP3 (Indigenous Peoples Power Project) came through with the vision and steady hands to help Design Action create the smaller semi-transparent banners and vertical orange multilingual banners. 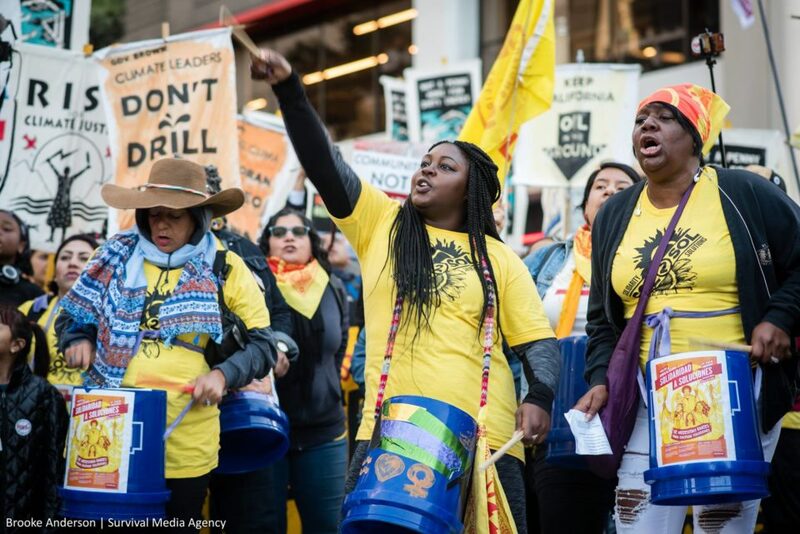 IP3 is a nonviolent direct action training and support network advancing Indigenous communities’ ability to exercise their inherent rights to environmental justice, cultural livelihood, and self-determination. 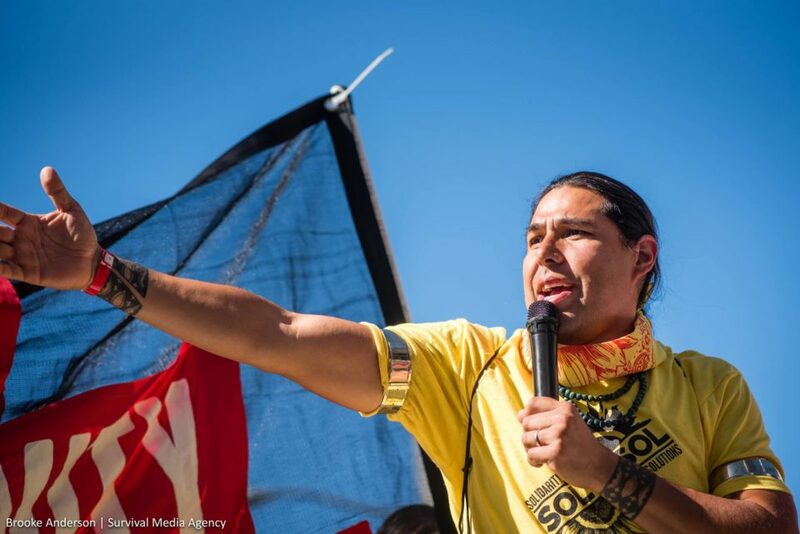 Formed in 2004 as a project of the Ruckus Society, IP3 works across Turtle Island with communities that are most vulnerable to threats of ecological devastation and resource exploitation, and most poised to lead solution-oriented action. 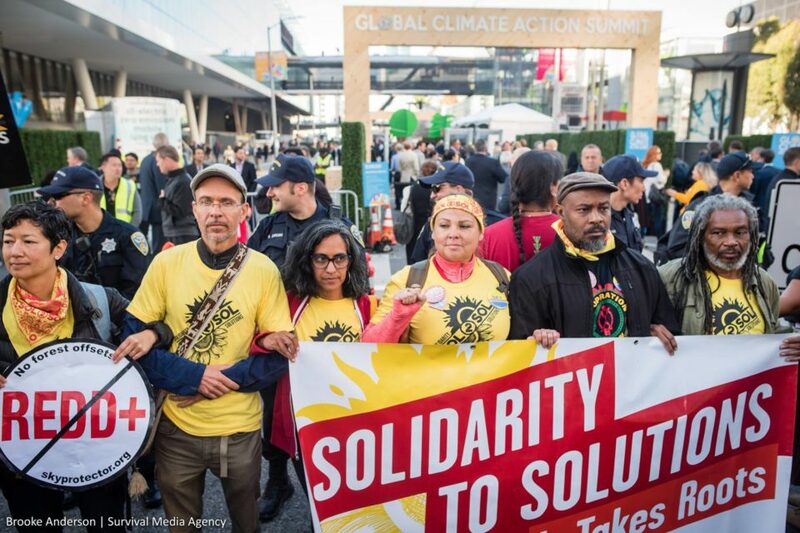 Finally, Ruckus Society worked on the art build for the action visuals, and incorporated the art and messaging into the overall strategy for a direct action at the gates of the Global Climate Action Summit. 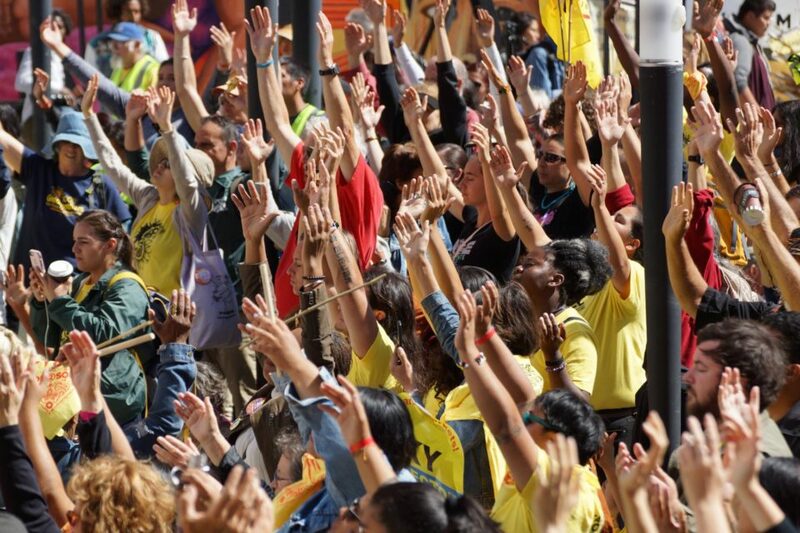 Ruckus is an action catalyst with over 20 years of experience in nonviolent direct action strategy, tactical training, and movement building. 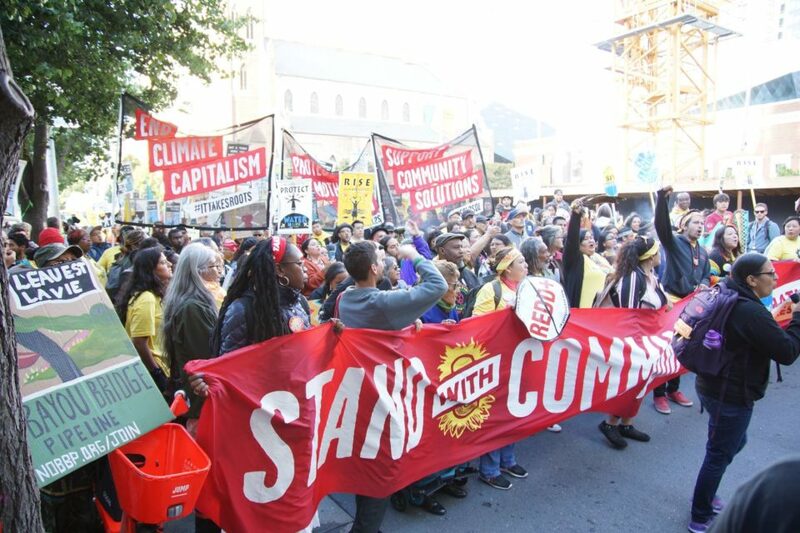 Thousands of people filled the streets to call on leaders to stand with communities, not corporations. We loved the different ways people rocked the bandana! 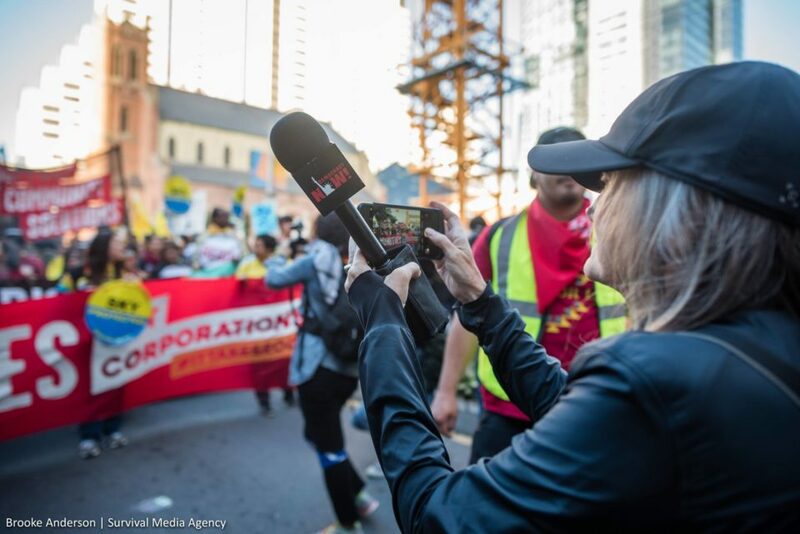 Even Amy Goodman from Democracy Now had to get a shot of that gorgeous banner! 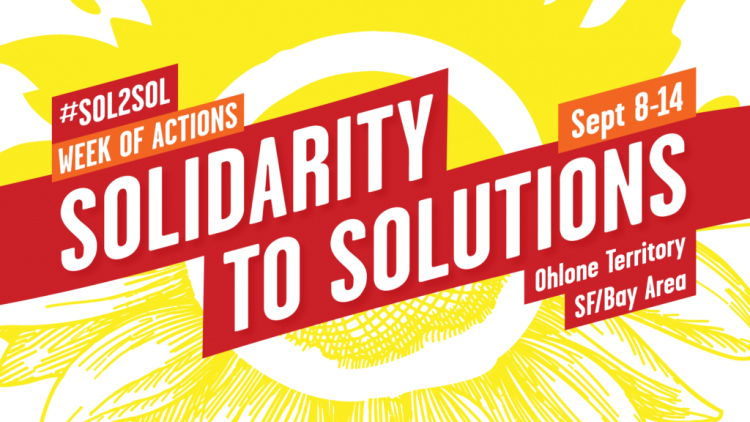 The Sol2Sol Week – Solidarity to Solutions offered real solutions to the climate crisis, grounded in real life experiences of frontline communities. 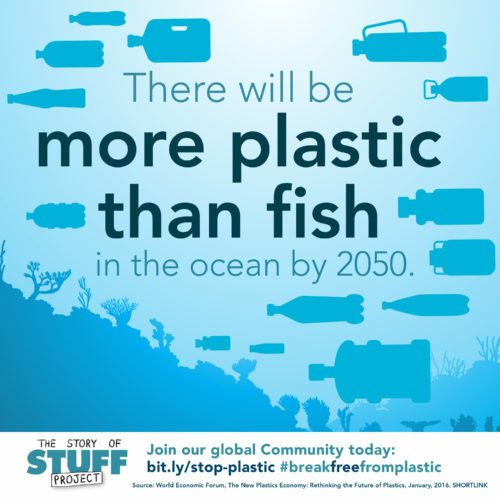 Our future generations are counting on us to save the planet, will you join the struggle? Photos by Brooke Anderson Photography, Marian Carrasquero, Denny Khamphanthong – Please let us know if we missed a photography credit!